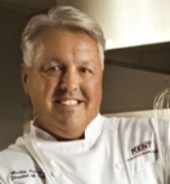 Our manufacturer, Kent Precision Foods Group (KPFG), was recognized by Dot Foods for exemplary quality and service in 2013. This is the third consecutive year that Dot Foods bestowed the Quality and Service Award honor on KPFG. Fifteen manufacturers out of 650+ manufacturers were recipients of the award. Those companies included: ACH Food Companies, Bosco’s Pizza Co., Butterball, Cargill Foodservice, Dr Pepper Snapple Group, Handi-Foil of America, Inc., Kent Precision Foods Group, Lawrence Foods, Inc., Living Essentials, Rotella’s Italian Bakery, Signature Breads, Simplot, Sunny Delight, Tyson, and Upstate Niagara Cooperative, Inc. The award was given to manufacturers who achieved excellence in several areas of distinction including profitability, returns, inbound service levels, electronic data interchange implementation and loading efficiency, amongst other areas. 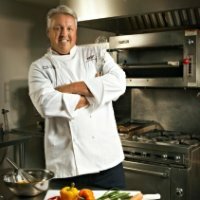 Dot Foods is the nation’s largest redistributor. The company distributes food products to distributors in all 50 states and they have eight distribution centers in the U.S. 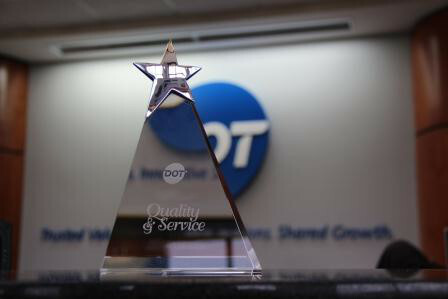 Dot Foods will travel to our headquarters in Creve Coeur, MO to present the 2013 Quality and Service Award later this month. Congratulations KPFG!